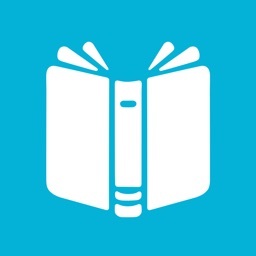 How often does someone recommend a book that sounds amazing, that you would love to read, but the title just flies out of your head? 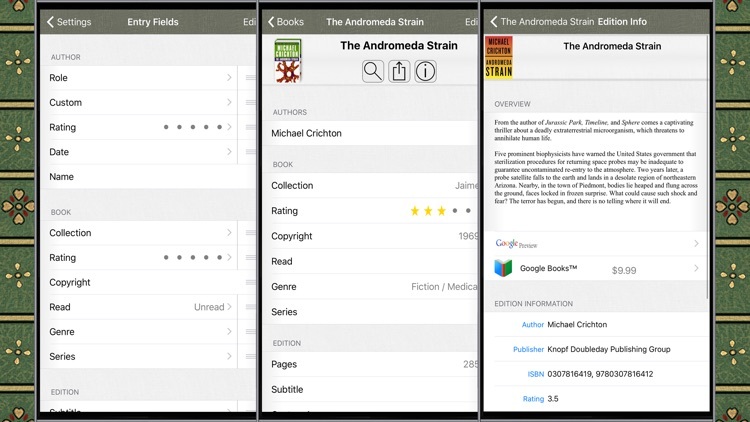 This amazing collection of apps will help you catalogue books you've read and want to read. 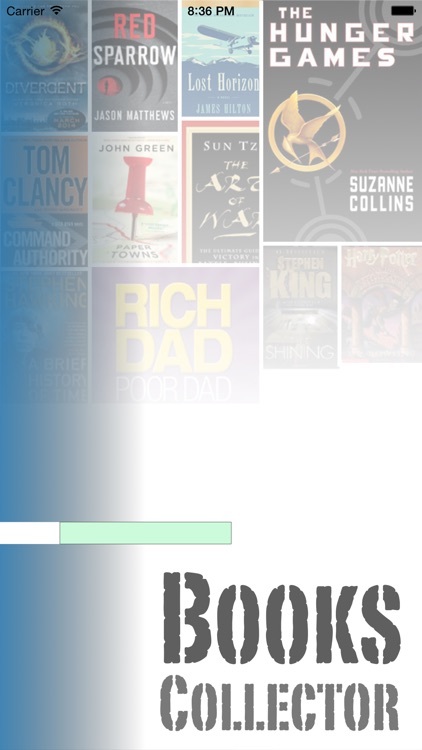 Keep track of everything you've read, which is great for students and for the eading enthusiast. 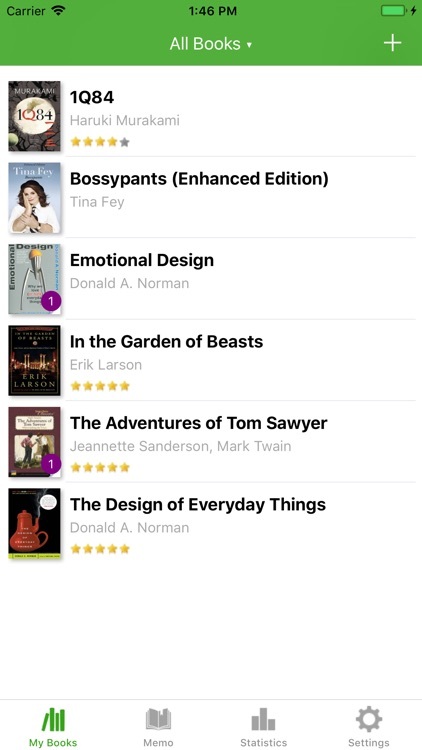 It's also great for tracking books you want to read so you can have a running list of titles you can tap into whenever you're looking for something new. 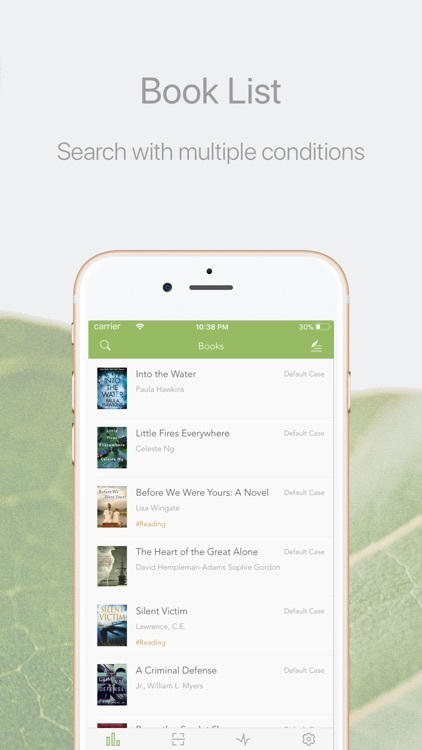 If you’re someone who’s devoted to the solitary vice of reading, Bookout is one app you should definitely check out. 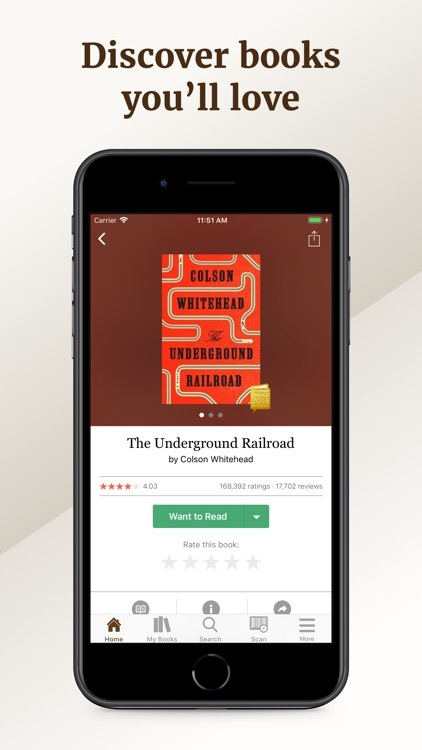 Filling the void left by the long-defunct Readmore, and more outside of the social networking functionality of Goodreads, Bookout lets you easily manage your books, track your progress with them, and develop good reading habits. 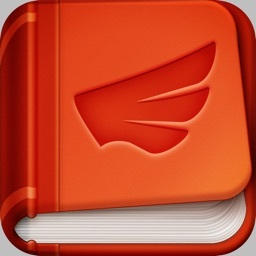 For those who like book tracking apps that include recommendations, searches, and reviews. 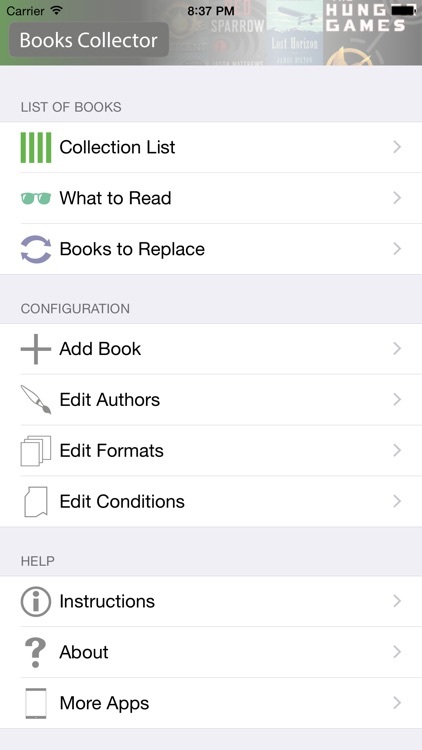 For those interested in a book tracking app that includes lending management and iCloud sync. 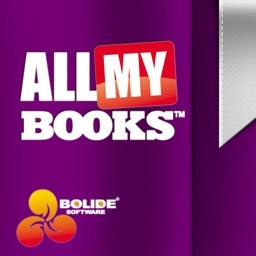 - BookBuddy has all the features of BookBuddy Pro with a 50 book limit. 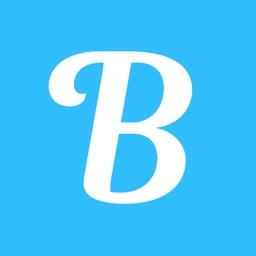 ◆ Recommended by AppStore in Fresh Apps & Best Apps of Feb & Enjoy Life Topics. 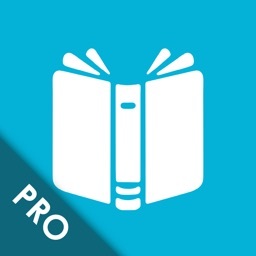 ◆ Recommended by digital media AppSo, "Everyone who loves reading should have this convenient app." 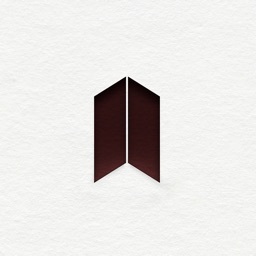 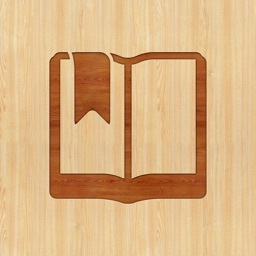 ◆ Recommended by Most Beautiful Apps, "Too many books, what should I do? 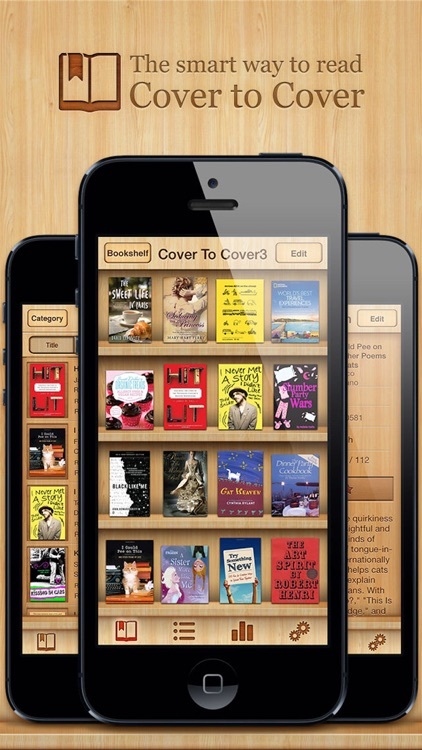 You must have this book management app. " 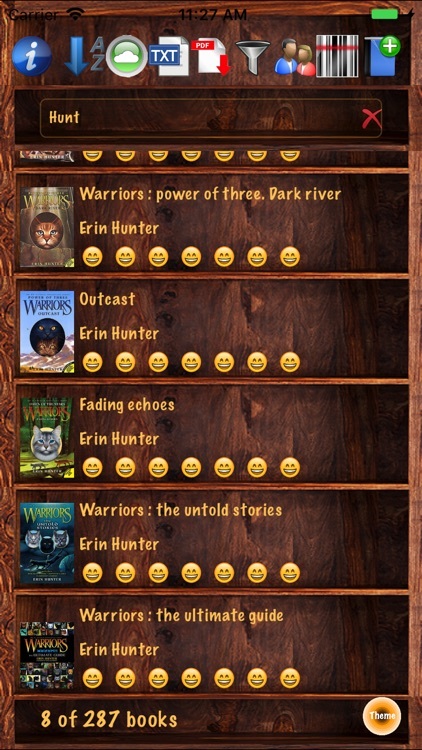 Forgot which books you have read? 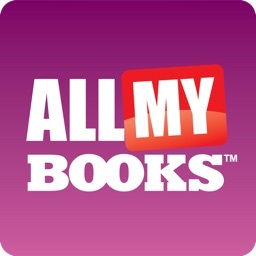 - Tired of buying books you already own? 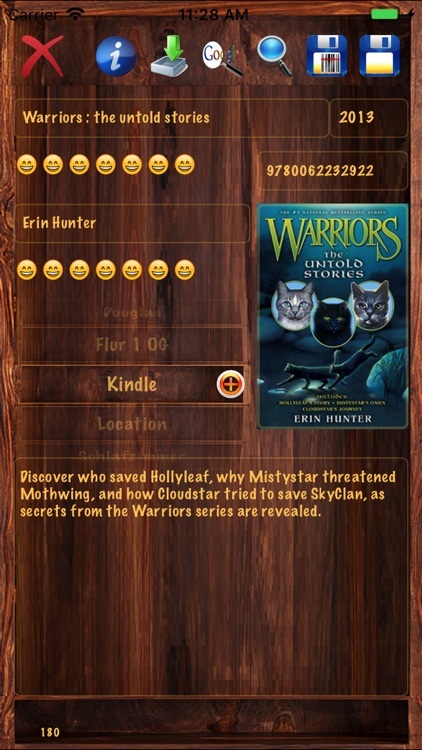 - Is the book available at your local library? 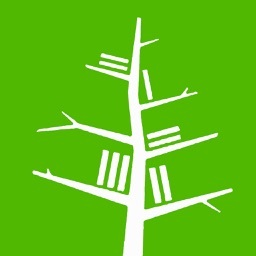 - Want to tell others about what you are reading and share thoughts? 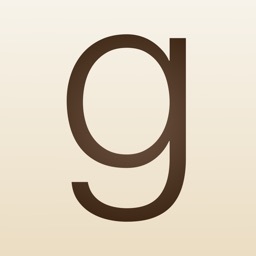 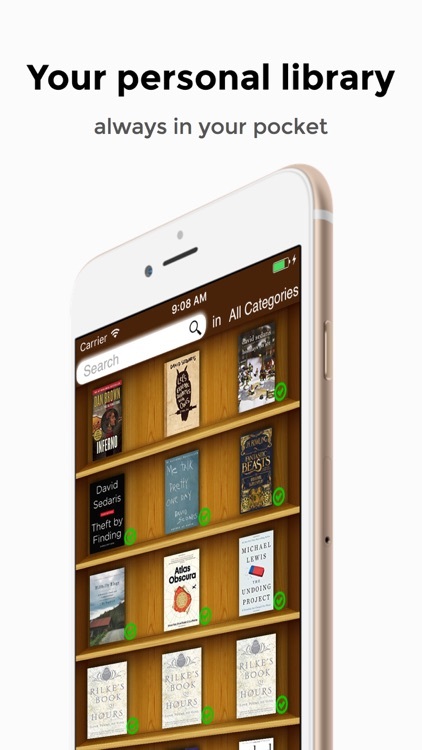 There’s a BOOK CRAWLER app for that! 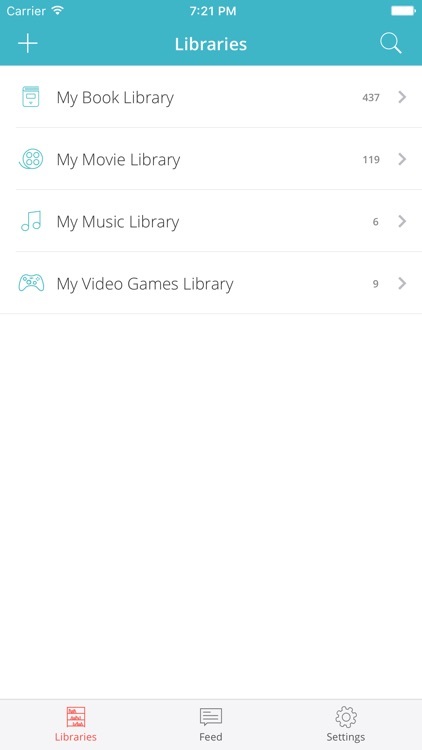 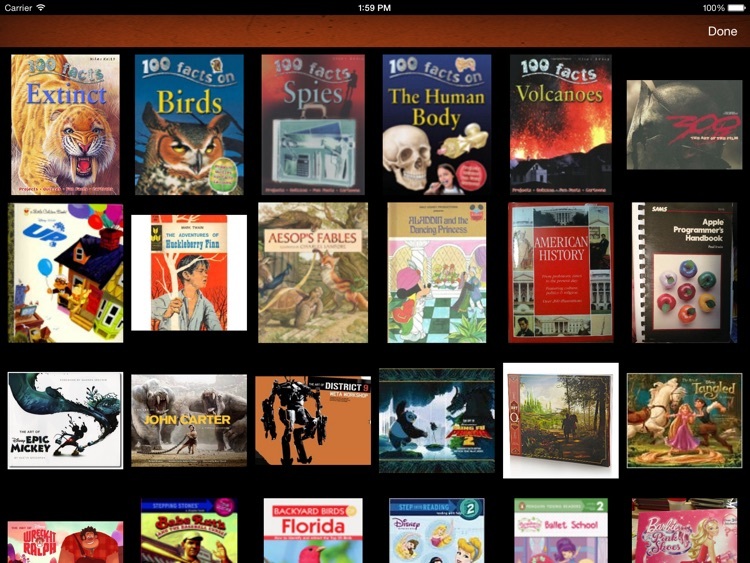 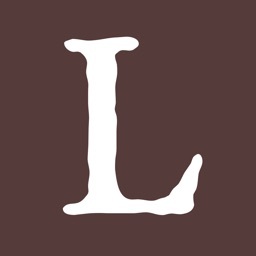 The LibraryThing app allows LibraryThing members to catalog and browse their collections. 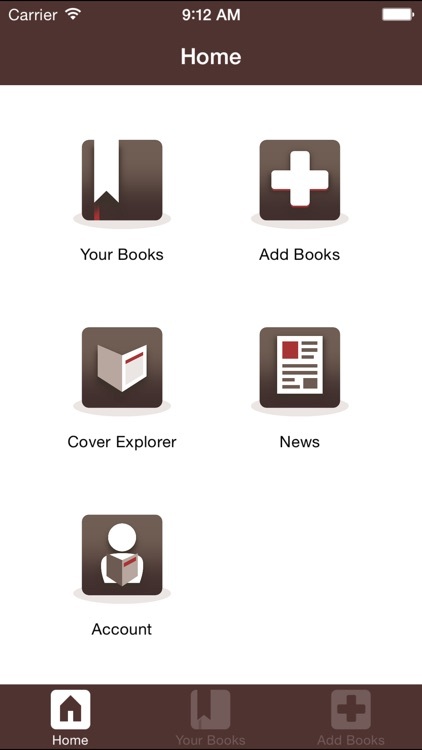 LibraryThing is focused on books, but you can add most media, including books, DVDs and CDs. 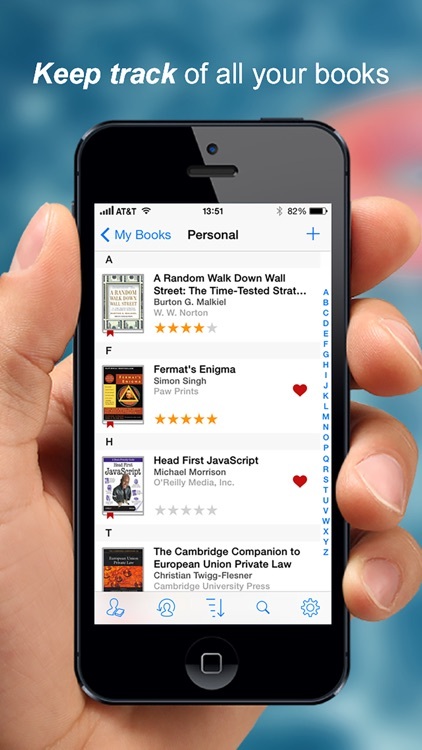 LibraryThing relies on data from Amazon, and over 65 million library records. 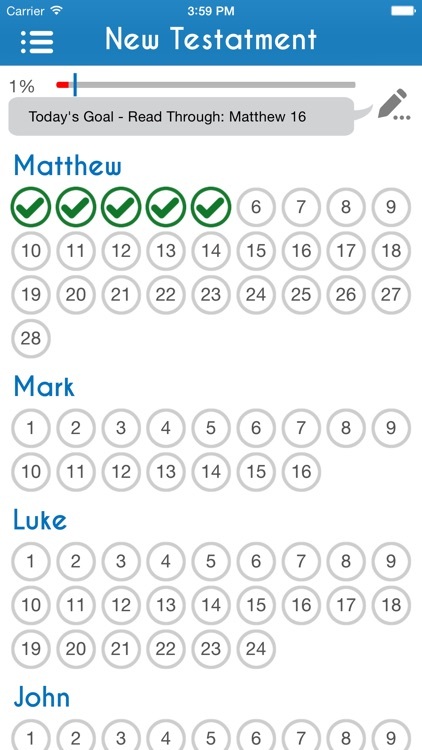 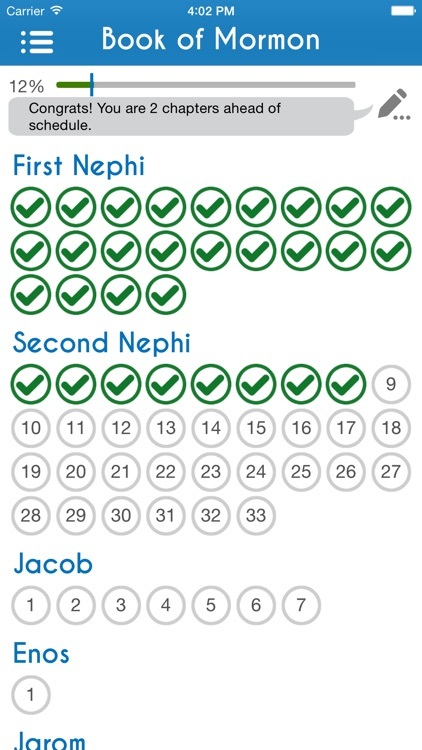 ChapterTap - The easiest way to track your daily scripture reading in any of the LDS Standard Works! 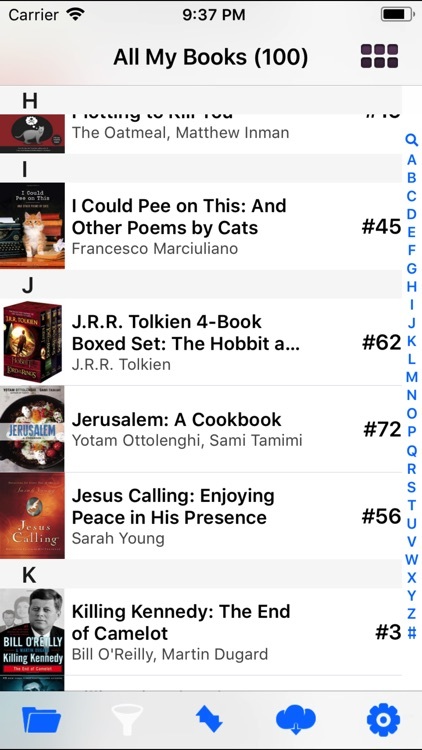 A must have app for every LDS Church member. 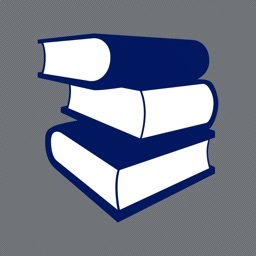 ShuBook 2F is a demo version of ShuBook 2P. 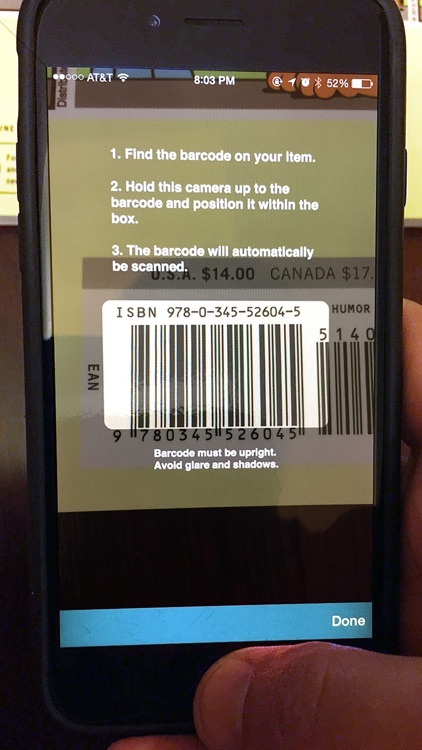 The smart way to read! 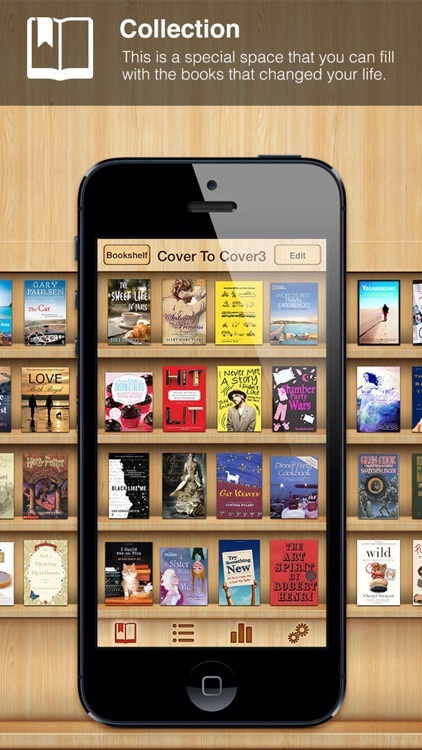 Welcome to "Cover to Cover"
"Cover to Cover" is an all-inclusive book organizing app designed to look like your very own study. 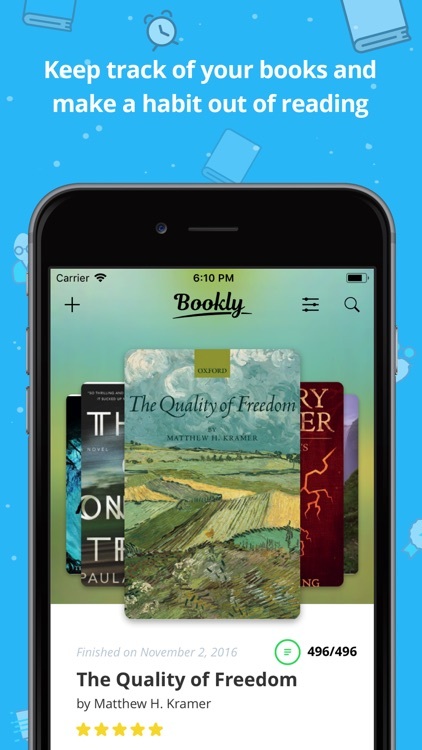 Bibliophiles can use the app to get more out of their reading. 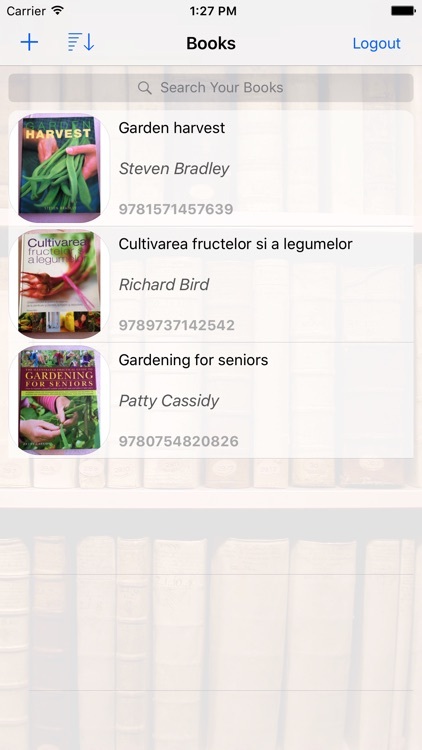 Collection viewer app for your book catalog. 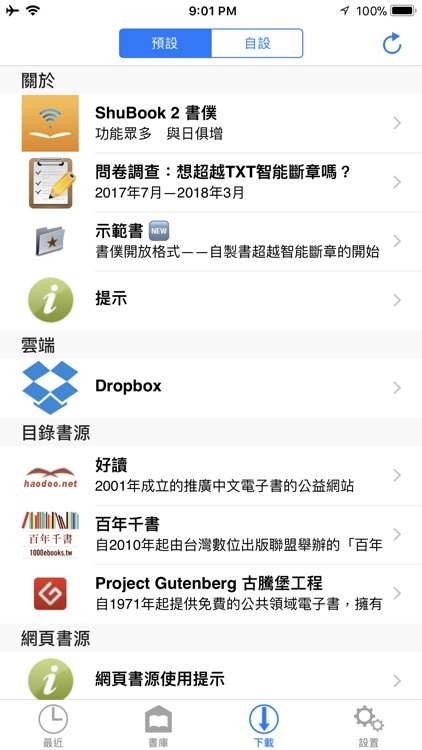 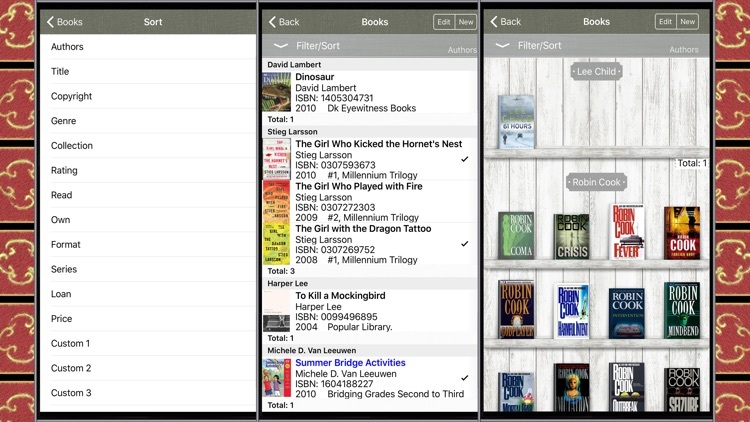 "BookTree App supports your reading life via managing books and your underlines"
Books Collector allows you to create a catalogue of your books to have access to your library all the time. 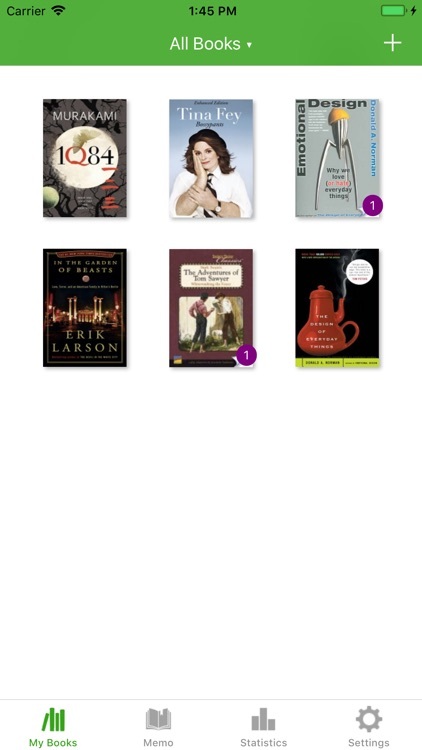 - For avid readers who want to keep track of reading. 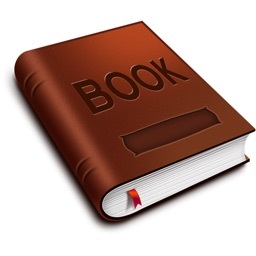 - For book lovers who want to keep the list of their books. 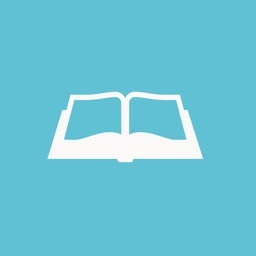 - For the ones who want to make a habit of reading. 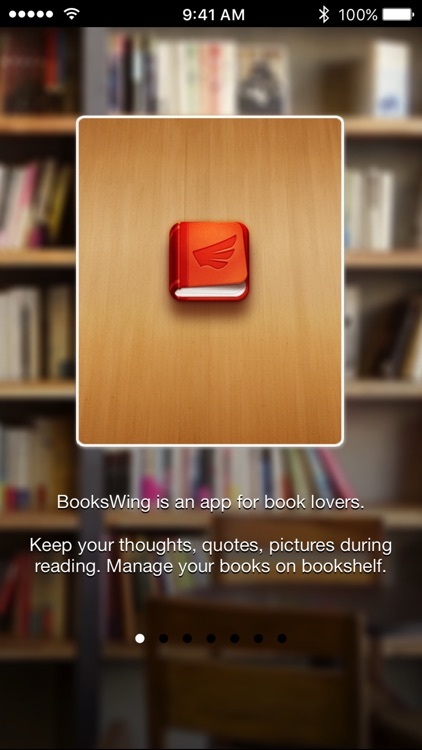 - Start reading with BooksWing beside you. 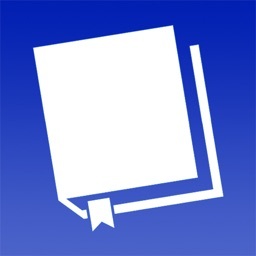 Books Library allows you to add, edit, delete unlimited number of books (with name, author, isbn, cover image) and sort them to create your own books library, accessible from any device. 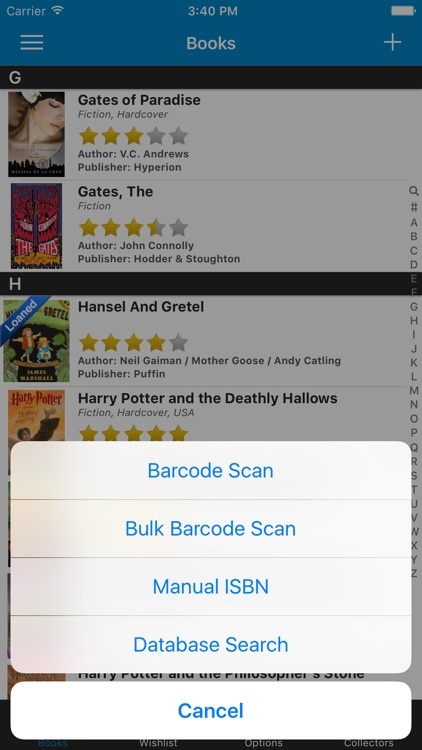 Having your library accessible in an app means never forgetting what you already own and never purchasing unwanted duplicates. 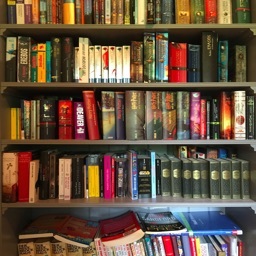 My Book Collection is an app for organising your book collection. 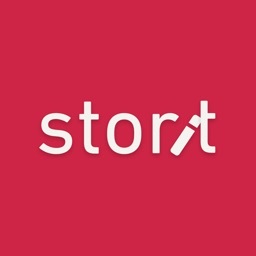 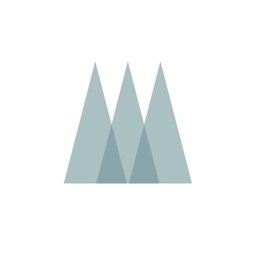 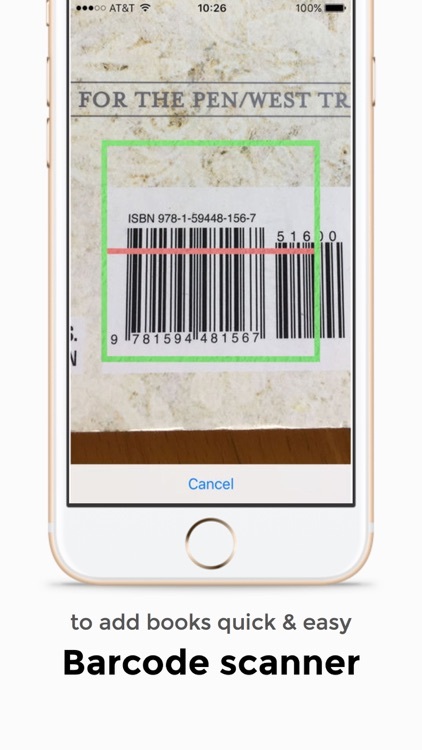 - Take pictures of your books or import from your photo library. 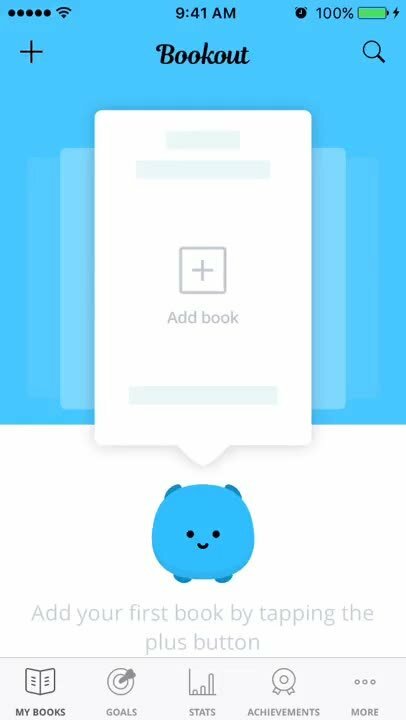 Add details such as author, illustrator, genre, publisher, format, language, rarity, edition, year of release, condition and cost. 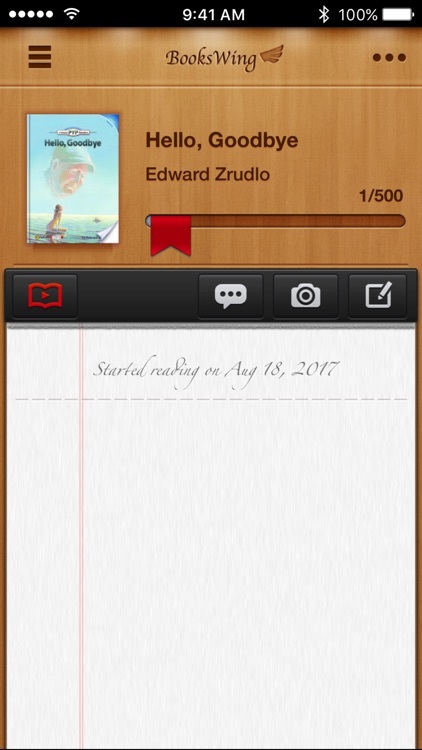 Or add your own special notes. 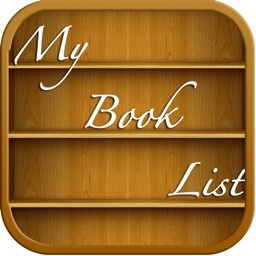 - Create bespoke Top 10 lists of your favourite books. 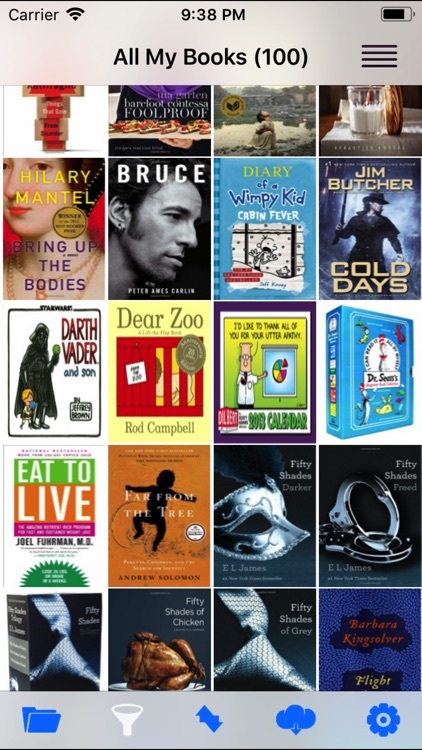 For example, top 10 fiction or top 10 love stories. 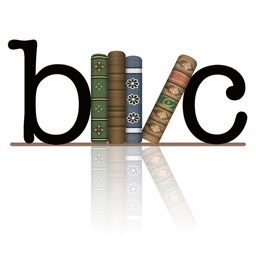 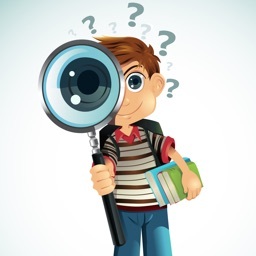 - Search your collection by name, author, illustrator, publisher, format, language, rarity, edition, release year or condition with the powerful and easy-to-use search function. 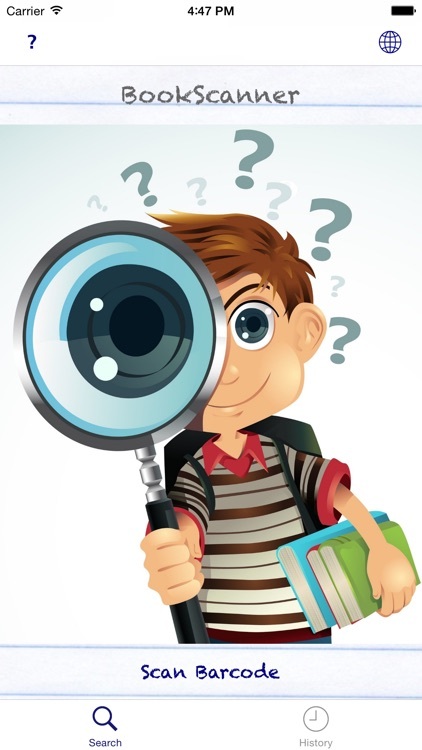 Create complex queries with just a few clicks. 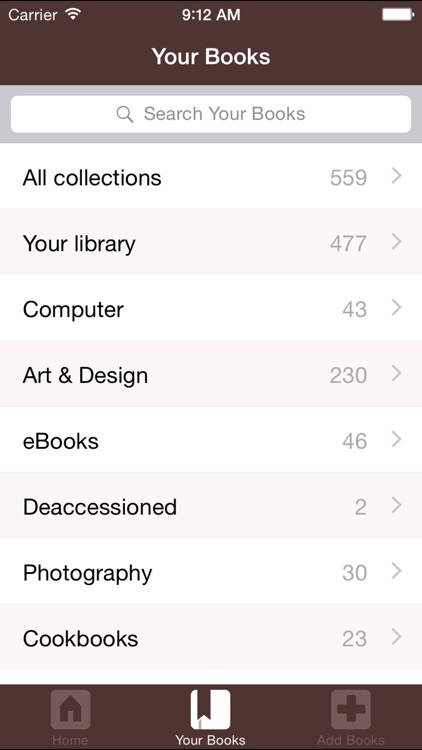 - See stats on your collection including the total number of items, the number of mint items, the total value of your collection and your top 10 authors, illustrators and genres. 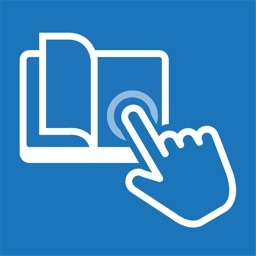 A book discovery tool with a magazine style interface. 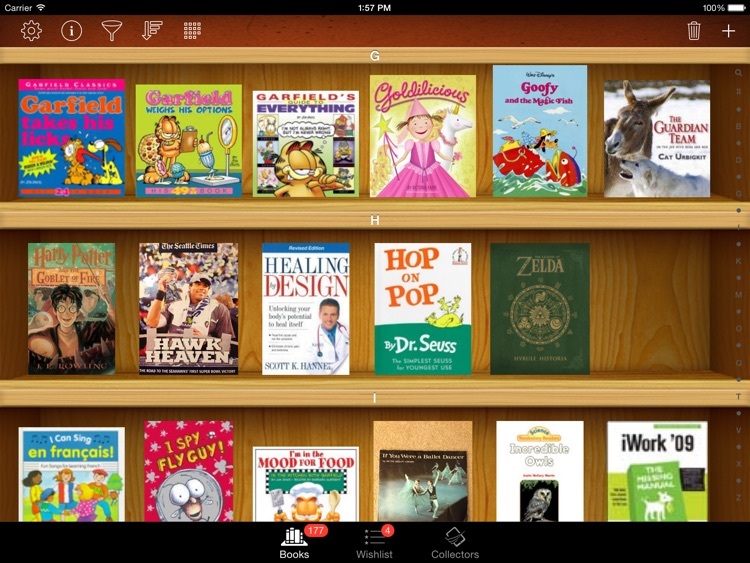 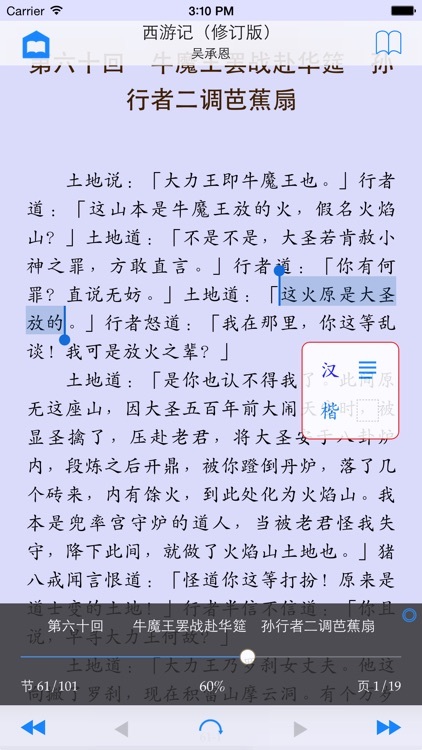 Select fiction or nonfiction and then browse through books by swiping each page. 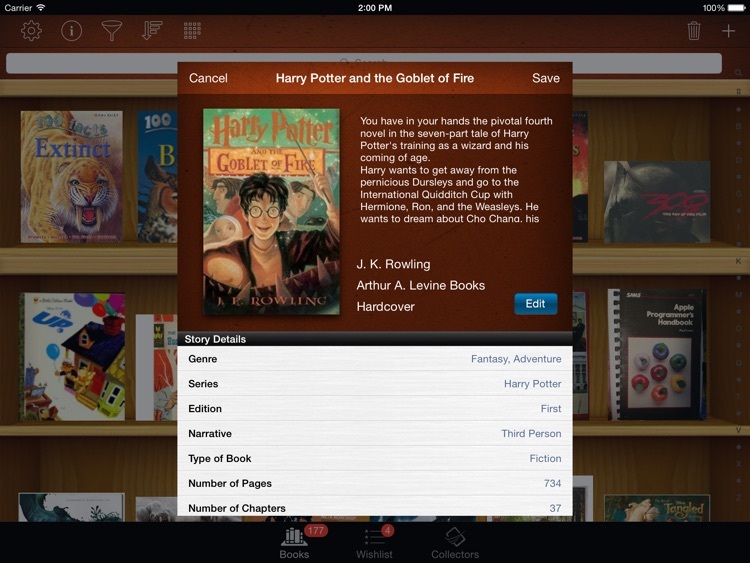 Tapping a book allows you to buy on iBooks. 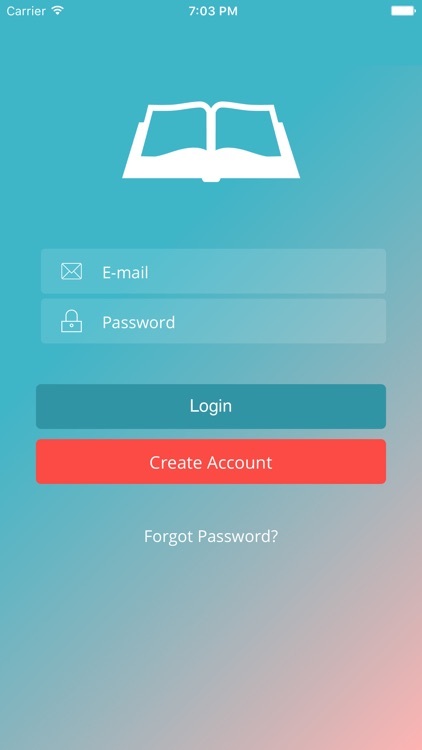 An internet connection is required for this app to work properly. 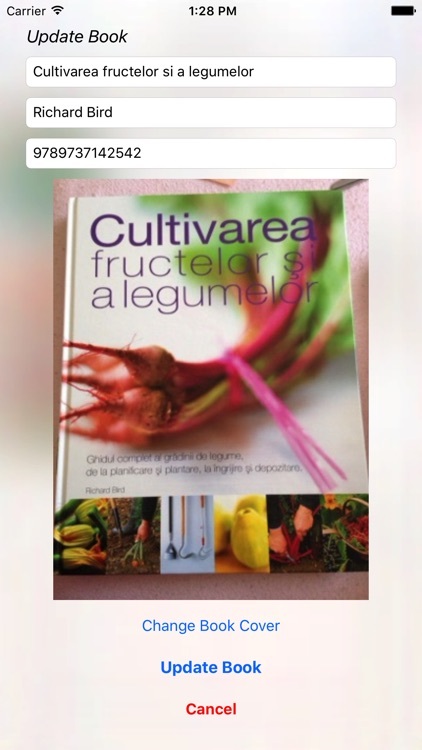 - viewing full-screen cover images. 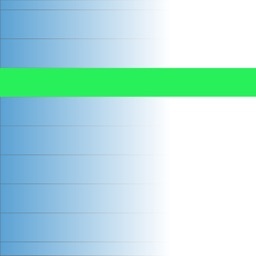 Just swipe to come over to the next one!